Description: On July 8, the Confederate cavalry, holding the South Mountain passes, fought a rearguard action against elements of the Union 1st and 3rd Cavalry Divisions and infantry. 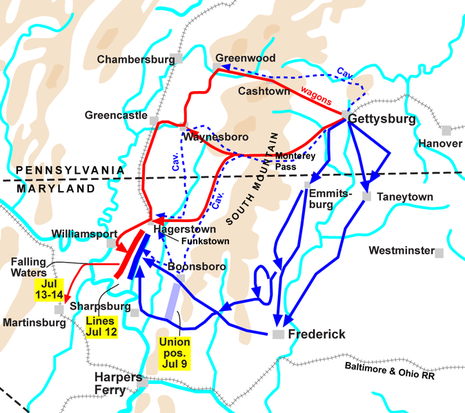 The Battle of Boonsboro took place on July 8, 1863, in Washington County, Maryland, as part of the Retreat from Gettysburg during the Gettysburg Campaign of the American Civil War. 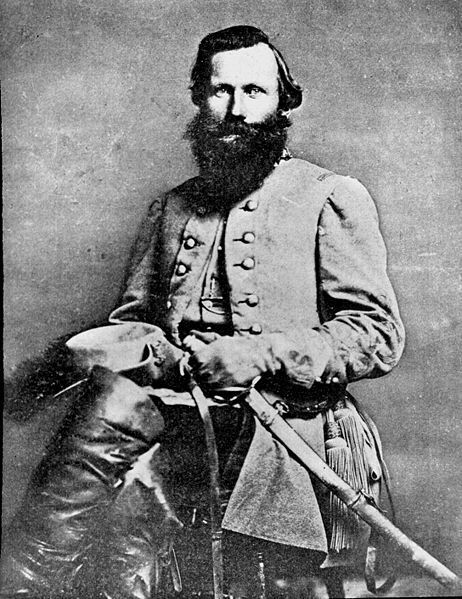 While Gen. Robert E. Lee's Army of Northern Virginia retreated toward Virginia following its defeat in the Battle of Gettysburg, Confederate cavalry held the South Mountain passes. The cavalry fought a rearguard action against elements of the Union 1st and 3rd Cavalry Divisions and supporting infantry. 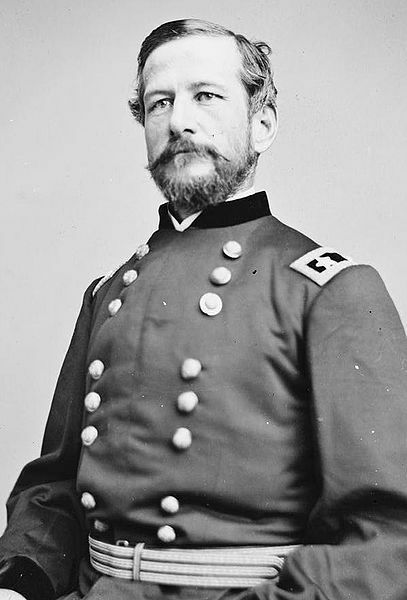 This action was one of a series of successive cavalry engagements around Boonsboro, Hagerstown, and Williamsport.